Students saw the trainees making handicrafts at the center. 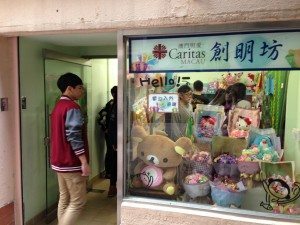 On 12th November, 2014, the Society and Community Service Working Group of Stanley Ho East Asia College successfully organized a visit to Caritas Macau Sunshine Center (previously known as Sheltered Workshop for the Disabled). This activity was intended to let students understand the living conditions of people with disabilities, so as to realize their perseverance in the face of adversity. Center-in-charge Ms. Leong of Sunshine Center first introduced the aims and functions of the center and its history. The center provides various types of training to people with disabilities to enhance their employability for future job prospects. Then the students visited the IT department, which is mainly used to teach software used for administrative work and graphic designs. Their works, such as Christmas cards and calendar, were also showcased in the room. 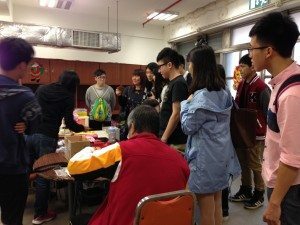 After that, the participants had a brief tour in the handicraft workstation, where trainees do works like souvenir making and general packaging. 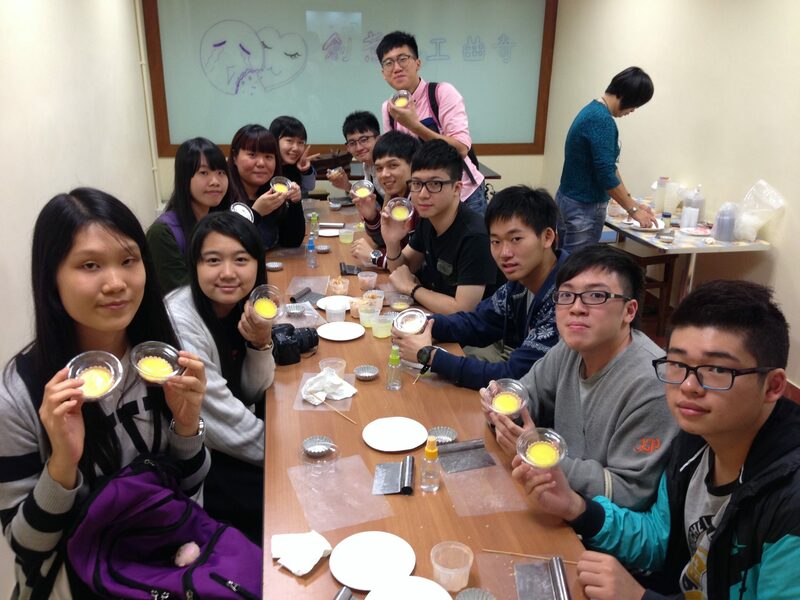 Students made their own egg tart-like soaps in the workshop under the guidance of the trainees. The students witnessed a group of trainees with different levels of disabilities completed fine pieces of handicrafts with efforts, and felt that the trainees proved their value to society. 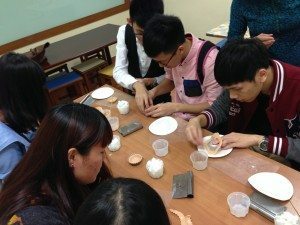 At last, there was a DIY soap workshop guided by two trainees of the center. The participants chopped the raw materials, put the mixture into the micro-wave oven for heating, and eventually an “egg tart”-like soap was made. 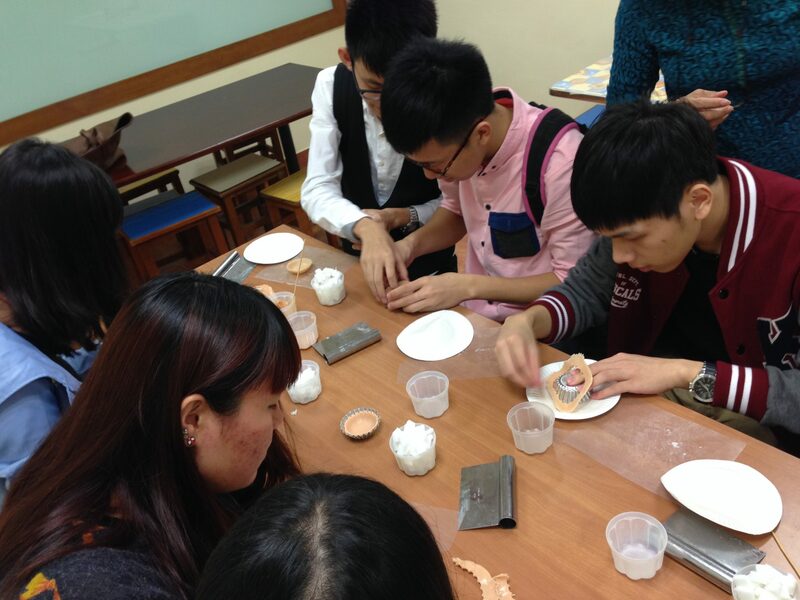 The students encountered difficulty in the production process, yet the trainees showed that making soaps was just a little piece of cake. 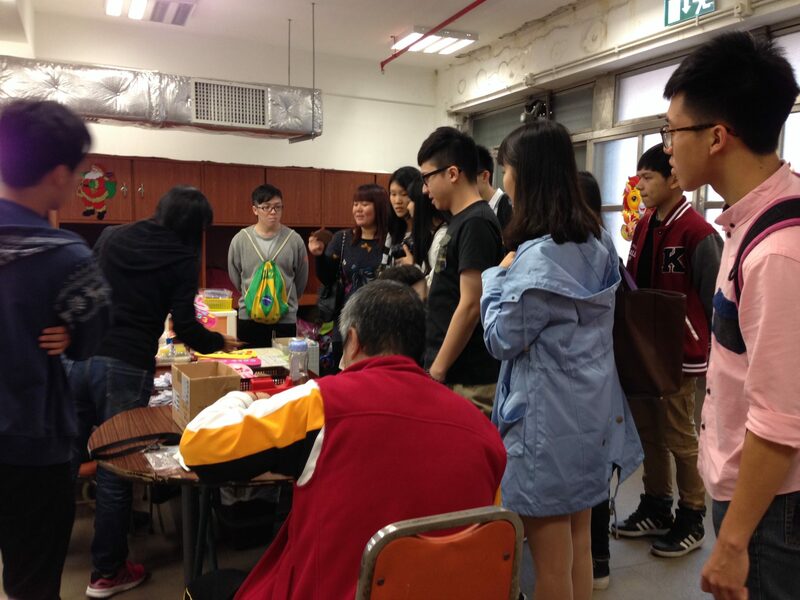 At the end of the visit, the students bought some of their handmade products to show their support. 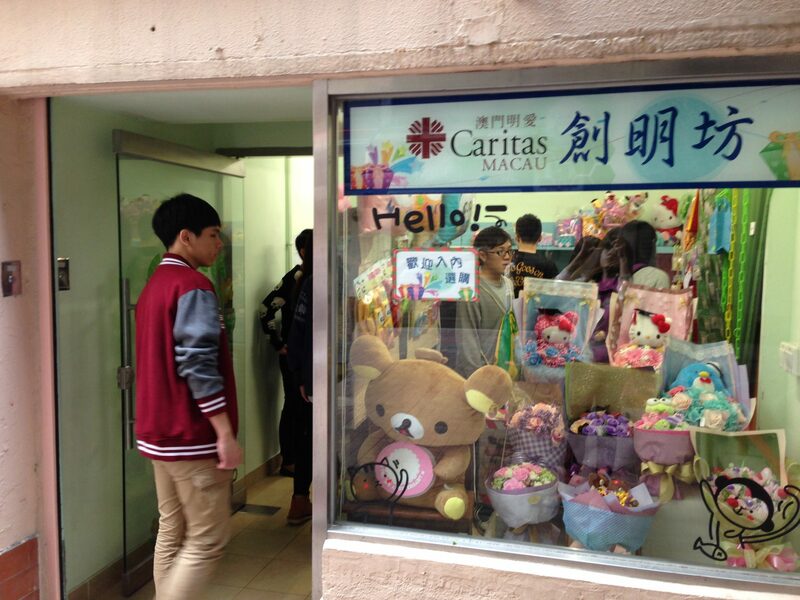 Students visited the souvenir store of the center. 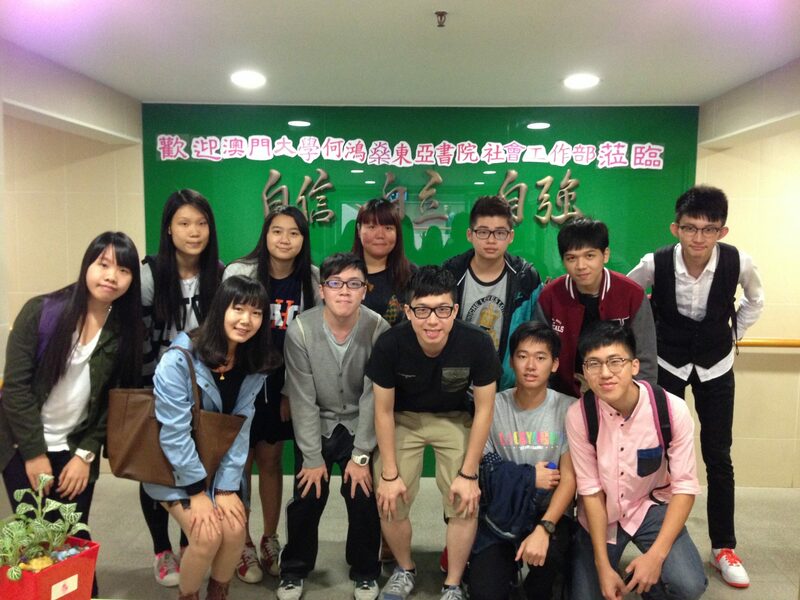 Students had a group photo with their finished handmade soaps.